The benefits of hydro massage based on the therapeutic use of water pressure have been widely recognized since Roman times. Hydro massage helps to relax muscles, increase blood circulation, and relieve muscular pain and tension. Hydro massage therapy is purported to help alleviate muscle and soft tissue injuries caused by low back pain, arthritis, chronic and acute pain, neck injuries, TMJ, sports injuries, pregnancy discomforts, Crohn’s disease, insomnia, multiple sclerosis, lupus, tendinitis and many other diseases. It is also an important tool for stress management and post-surgical rehabilitation. Dr. Caruso’s office is equipped with the same medical-grade water massage beds used in hospitals and medical spas around the world. Hydro Massage beds, which feature a constant velocity wide-band massage jet, are safe, durable and easy to use. The bed can be set for a full-body massage or for focused massage on targeted areas of concern. 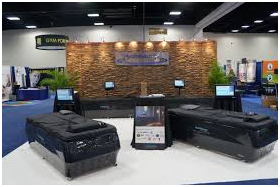 While Hydro Massage beds are increasingly popular in fitness centers, the cheaper models do not have all the therapeutic features of the medical-grade massage beds. Massage can be very effective in soothing pain and relaxing patients so they can better tolerate treatment, so Dr. Caruso provides Hydro Massage treatment as an integral part of care for patients who need these benefits.